Silambarasan will be teaming up with director Lingusamy for a yet-to-be-titled venture. This project is expected to take off in August, reports sources. Meanwhile, the actor will concentrate on Poda Podi and will try and complete a major portion of this film. 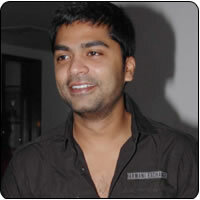 It may be recalled that Silambarasan had toured some foreign countries to scout for locations for Poda Podi. Sources close to the actor say that he will concentrate on the Lingusamy project as well as Poda Podi simultaneously. While there is a buzz in Kollywood that Tamannah will be his on screen pair in the Lingusamy project, he will join Varalakshmi Sarath Kumar in Poda Podi.